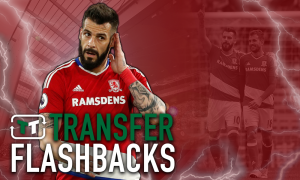 Five strikers to boost Andre Villas-Boas front line this January | The Transfer Tavern | Where football transfer rumours fly or die! 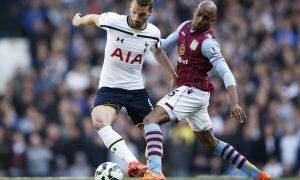 Tottenham are always good value for a transfer rumour at the Football Transfer Tavern, and it is thought a striker is likely to be high on the list of Andre Villas-Boas’ priorities this January transfer window. The Spurs manager has had to make do with just two senior forwards since his move to White Hart Lane, in the form of Jermain Defoe and Emmanuel Adebayor. Defoe especially has been in fantastic form, so much so that his manager compared him to a certain Atletico Madrid striker that goes by the name of Radamel Falcao. High praise indeed, but you feel Tottenham will still need more firepower in the second half of the season if they are to finish in the top four. Click on Andre Villas-Boas to reveal the five strikers Tottenham should try and lure to White Hart Lane. Which strikers would you like to see sign for Tottenham? Follow me on Twitter @LukeGreenwood89 and let me know your thoughts.